Today seems to be a happy Blogger day for BlogSpot user as BlogSpot added some of the advanced SEO options for Blogger blogs. We will dive into all the new feature in details after a break but let me start with few important relevant talk. 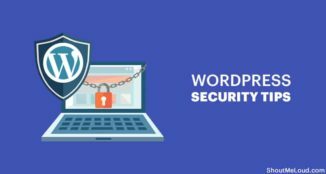 Whenever we pitch about BlogSpot Vs. WordPress, we always give WordPress an edge in the terms of SEO. By adding new SEO features in BlogSpot, Google have fixed the SEO difference by a great extent. Though, this is not going to be “The changes”, which will make me suggest you to stick to BlogSpot for Professional Blogging. But, all the new changes are undoubtedly deserve an applause as after years, BlogSpot bloggers got much-needed SEO love. So, let’s not waste our time and learn about all new features and how to use it. 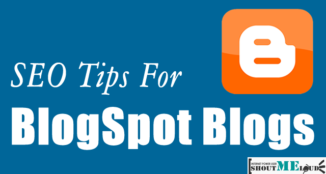 How to Enable BlogSpot Advanced SEO settings? 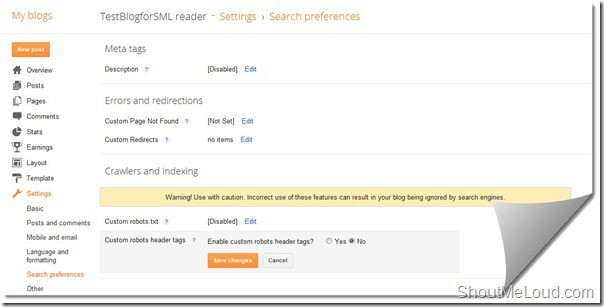 Login to your Blogger dashboard and under settings > search preference you will find all the new SEO options which are added by Blogger team. 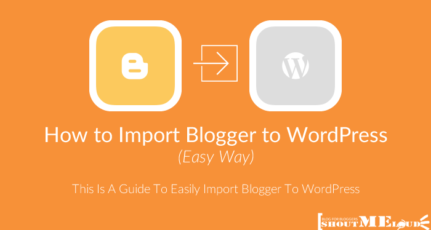 You have to enable all the settings one by one, and my suggestion is to read this guide seriously else a wrong settings (BlogSpot Robots.txt), may lead to complete de-indexing of your blog. I don’t mean to scare you, but all I’m saying is it’s time to get serious as Google wants to take SEO very seriously. Period!. Custom redirects (Redirect 404 pages to any page on your blog). 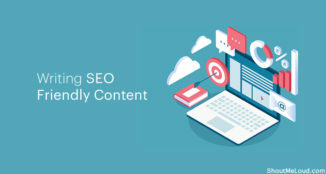 Lets, look into all the feature one by one and my suggestion implement it on your blog for better search engine optimization of your Blogger blog. ShoutMeLoud is a Blogging hub for Bloggers and Internet marketers to learn about tricks of Blogging, WordPress, Affiliate marketing, SEO and how to make money online. A 404 page is usually a mistyped pages or a visitor land on a page, which doesn’t exceed. This custom 404 message will let you create the custom HTML message, which you can display on your Blogger 404 pages. Now, it’s time for you to use your creativity and design something awesome. Here is one example, HTML message which I have created, and you can change the link and text to spice up your 404 page on BlogSpot. This is very useful when any 3rd party site linked to your site and added a link that doesn’t exist or if you remove a page and want to redirect the traffic. You can use Google Webmaster tool to find all such 404 pages and set the redirection. It might be a little lengthy process, but in some cases it is very useful to tap the missing traffic and convert them into real traffic. Before, I go into detail of this post, my suggestion is to read my post on Bounce rate, and that will give you enough idea about why opening external links in the new tab is important. Now, whenever you link to a site from the post editor, it will give two new options: Add the nofollow attribute and Open in new tab. If the word, nofollow sounds like a rocket science to you, read my post on why you need to add nofollow tag to a link. 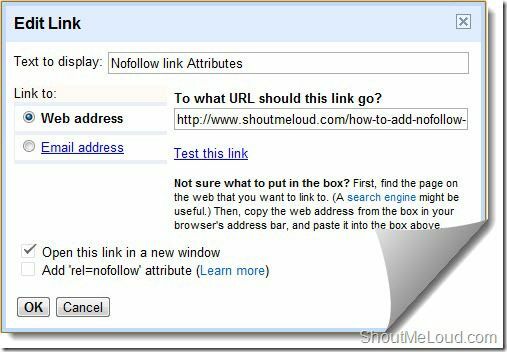 Earlier, we used to add nofollow link attribute using HTML, but this new one click link addition will make the task very easier. My suggestion for you is to use nofollow link attribute only when you have to link to irrelevant domains and pages that you don’t trust. For example: use it, when you are writing about some anti-hacking trick, and you have to link to hacking sites for giving examples. In nutshell, I suggest you to use Robots.txt to point to your sitemap URL and control No-indexing by noindex tag in custom robots meta tags. For more information, read official page on BlogSpot robots.txt. I will cover a detailed info on Blogger robots.txt in coming days. 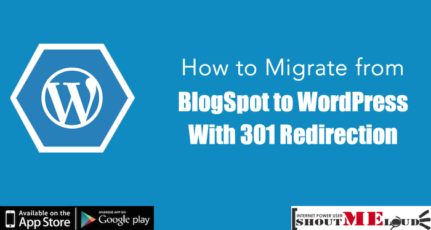 One much needed feature for SEO of your BlogSpot blog, though it looks like little confusing but this guide from Google will again try to explain everything in simple words. 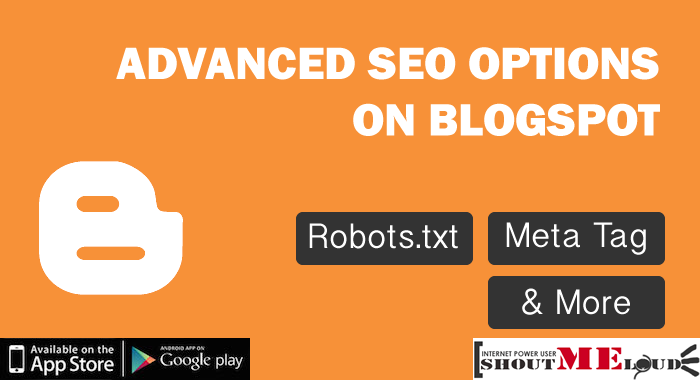 Robots meta tag and description is also available on single post, which makes it more search engine friendly. Specially, I liked the idea of Unavailable_after directive, which will help you to automatically deindex news post which usually expires after some time. 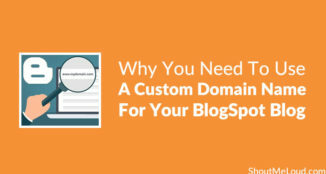 Well, my suggestion for every BlogSpot blogger is to get a custom domain and enjoy the power of new BlogSpot SEO and drive more traffic to your blog post. If you have any query regarding above Blogger new search preference option, ask via comment. If you find this post useful, don’t forget to share and +1 this post. 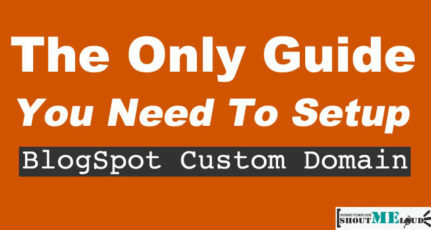 What is Custom Domain Name & Benefits of Using it? Hello i am new in blogging. this is nice article, i just want to know how to create custom sitemap in blogspot. 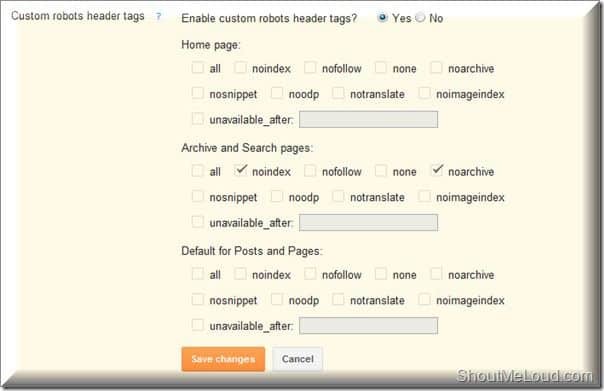 This article is very helpful to me and I have one doubt about “Custom robots header tags” will post some more details about this step in blogger. Because I have a problem about my I am marking tick on noindex for archive but so many links are indexing in search results. Will you please explain me why you selected the No-Index in search page if No-index tells not to index the page. So in this case how can i improve my site visibility. I am a new blogger and working on improving traffic to my site. Harsh, your posts are awesome and great source of information for a newbie. I write about investing/trading in Indian stock market. I have a question about. Actually, I am confused about limiting the crawler for a part of site and enabling for other part. Why would someone do it? Am I missing something? For example, in a blog it may be desirable to limit the crawler from going into older posts (may be 5/6 year old post) but relatively newer post should be enabled for crawling. What Blogspot Template/Theme has this search description option for individual posts? I am using the Simple Template and under settings/ search preferences, it only allows you to activate and enter a meta description for the entire blog. 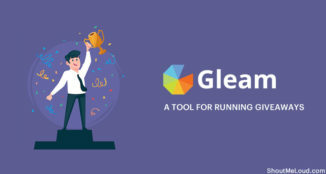 Enable Search description then only search description will appear on every post and you can provide a proper search description for meta description tag. Hello Harsh . I have completed this section on one as explained. Can I proceed to apply for Adsense and hope it will be a success ? This is great, I have been really frustrated with blogging because of low traffic. But everything seems clear now. I will try all you have written out here. Thanks for reading.Keep coming back. I have a login already by my Gmail account. I have custom domain also. Now I should wait for the rejection or I can continue with a new request and how? Sir Harsh, i v been following your blog. Your posts has been helpful. Thank you for this great knowledge. Though i v not accepted via adsense i so much belief i will. Awesome article. Do you think that google search engine will allow modified robot.txt on blogger? Thanks for the answer. I assume by modified you mean custom robot.txt. Yes, you can do that. Go to Settings >> Search Preferences ›› Crawlers and indexing ›› Custom robots.txt ›› Edit ›› Yes. Now paste your robots.txt file code in the box. Click on Save Changes button. I sincerely appreciate your effort. I’m from Nigeria but your educative blog has been the best. Guess what? I’m a big fan of your blog. Just wanted to ask. Can I setup google AdSense on WordPress and get paid? Thank you Ubee. yes, you can place Adsense ad on your self hosted WordPress blog and get paid when someone clicks on your ad. 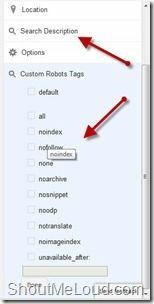 Hello harsh, I want to know why have you selected noindex in archive and search pages? Coz these pages doesn’t add any value for search engine. They are purely for better navigation for your readers. Thank you sir for so detailed article on meta tags and robots.txt. I am going through all of your posts. But sir I am very new to blogging so I have a confusion, should I use meta tags on each posts or just use meta tags in main HTMl theme? Basically, while writing a new post, I fill the title, labels, description as given on blogger. Hi… Today I received a message from google webmasters that “New Index coverage issue detected for the site”. I am not so techy. below the message ” Indexed, though blocked by robots.txt”. When I tried to find the pages which are having issues are all related to “Labels” of my blogger. I read your guide, but I couldn’t figure out how can I solve the issue? Can you help me with it? How To Take Complete Backup of BlogSpot blogs? 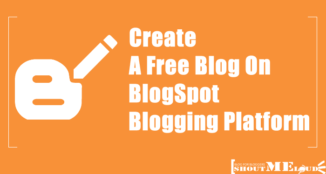 How To Add a Forum To Your Blogspot Blog?